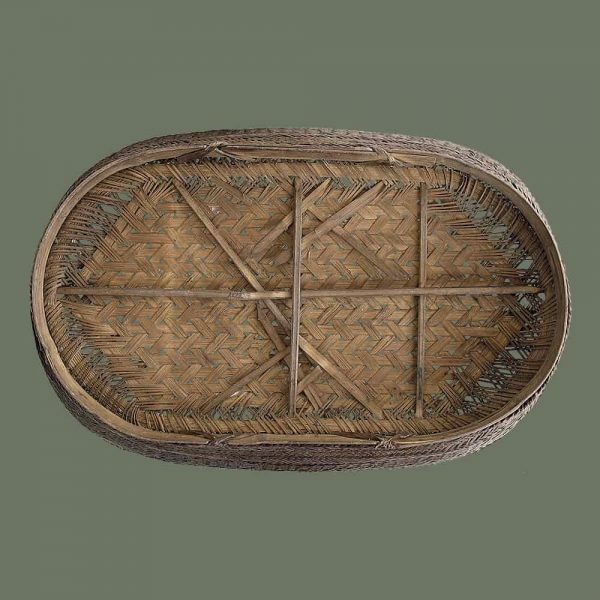 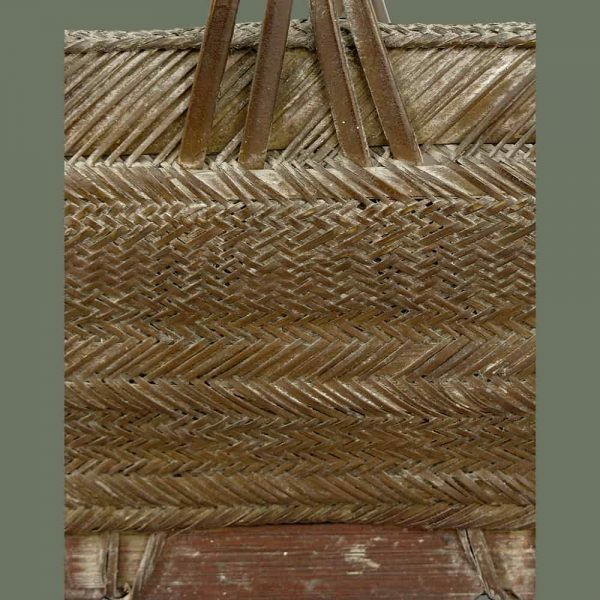 This old Dong sewing basket is nicely woven and of interesting design, with varied weaving patterns in finely split bamboo. 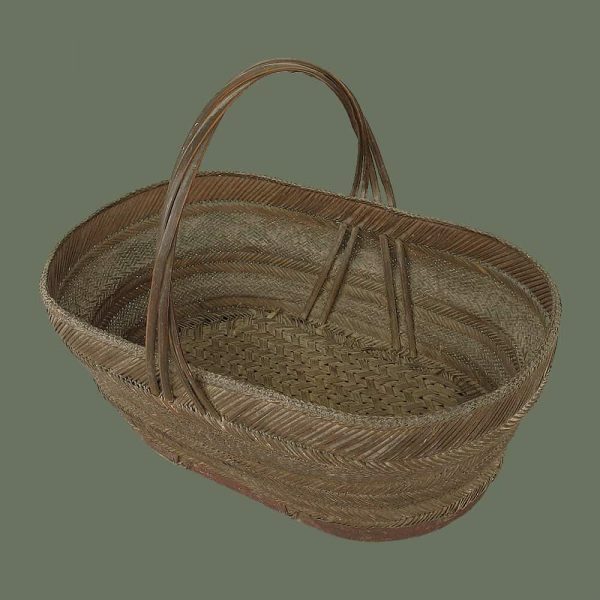 The rim has a skillfully braided edge, and the handle is attractively twisted out of four lengths of bamboo. 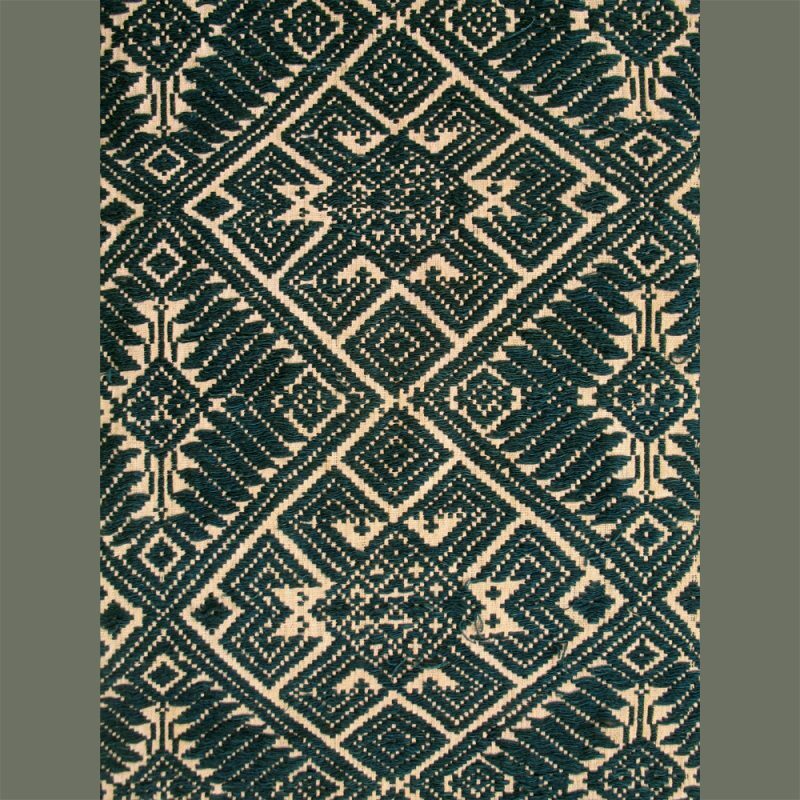 A base of bamboo is stained a red color. 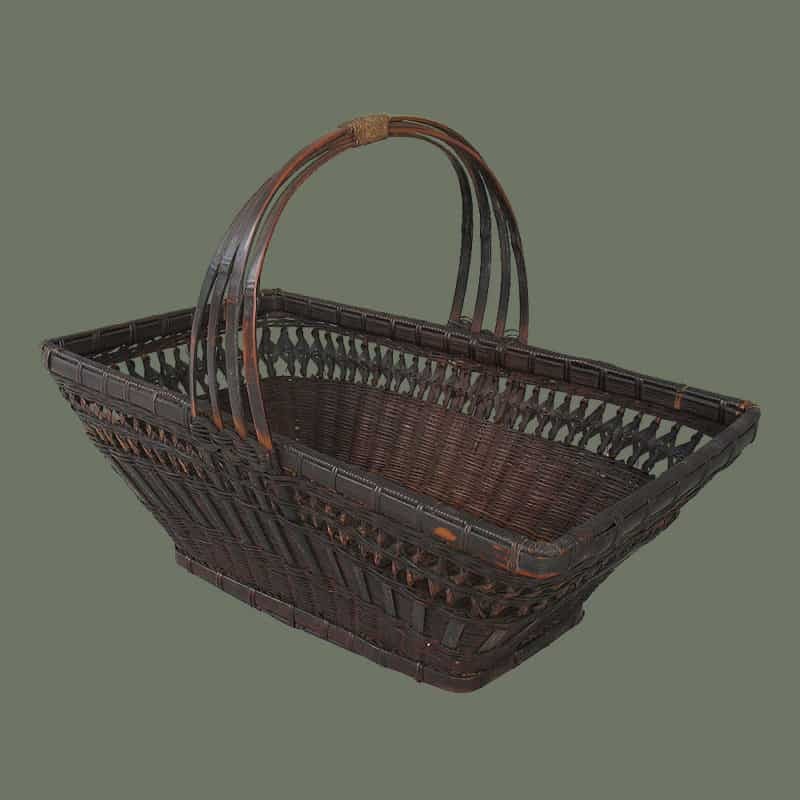 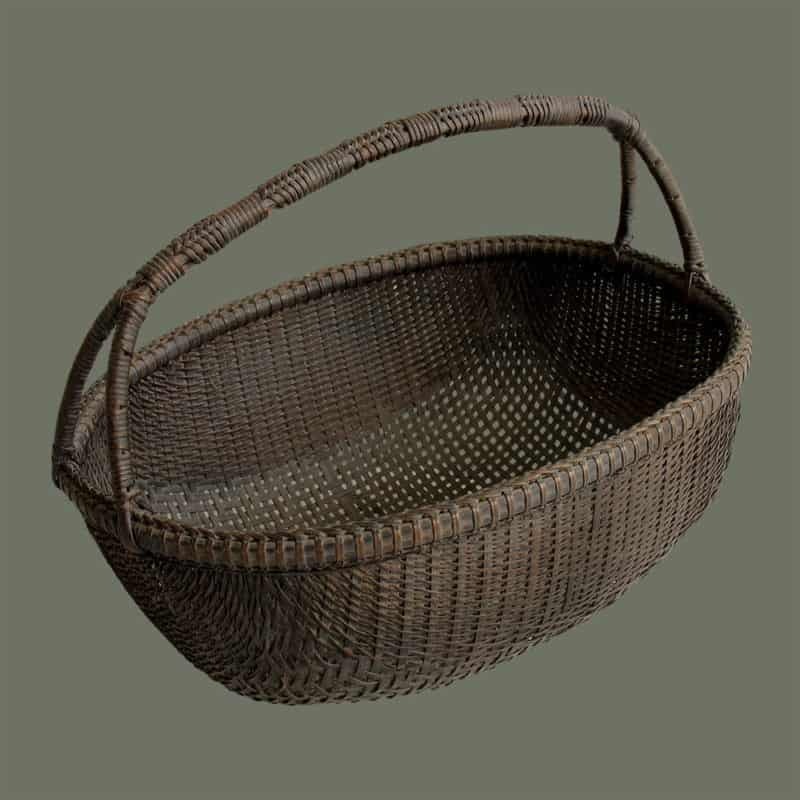 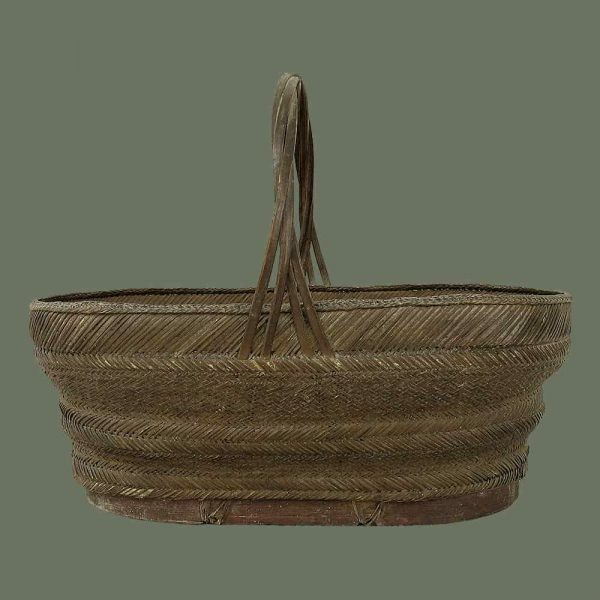 Condition is quite good, tho we think this is an old basket with a nice patina.